Want to improve the quality of your rest? Learn how to use essential oils for sleep! Aromatherapy can help take the stress out of your bedtime. 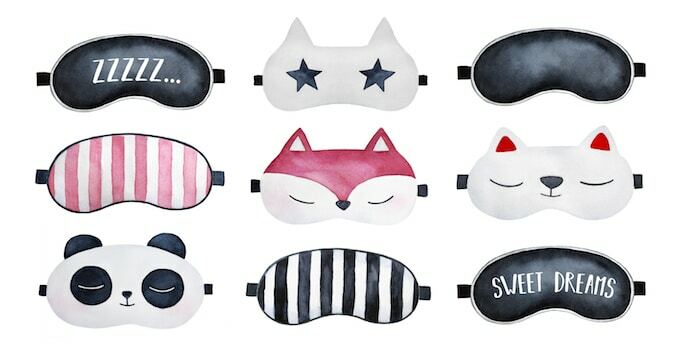 Get the best recipes, diffuser blends, rollerball remedies, and sprays to help you sleep well. I have struggled with sleep for as long as I can remember. If I am honest with myself, one of the key measures of “good times” and “bad times” in my life is how well I am sleeping. It is estimated that 60 million Americans suffer from sleepless nights. It can be easy to brush lousy sleep off as being normal, but the truth is that inadequate sleep can lead to other problems in our lives. In addition to reduced concentration, agitation, and headaches, poor sleep can also play a role in chronic disease, immune health and depression. 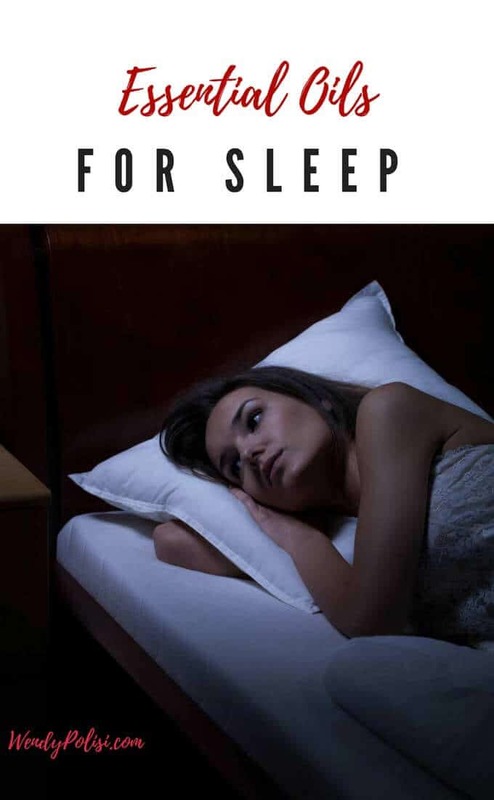 While there are certainly times when medical intervention is called for, one of the best natural ways to deal with occasional sleeplessness is essential oils! They have done wonders for me to support healthy sleep. There are a lot of different essential oils for sleep, and one thing to keep in mind is that everyone responds differently. What sends one of my sons quickly into slumber does nothing for the other. So play around with it and learn what is best for you! 1 How Do Essential Oils Support Healthy Sleep? 2 How Do You Use Essential Oils for Sleep? 4 What are the Best Essential Oils for Sleep? How Do Essential Oils Support Healthy Sleep? Aromatherapy helps to reach the parts of the brain that influence our moods and energy. This can help to relax the mind as well as the body. Even science is starting to recognize the positive impact that they can have on our health. How Do You Use Essential Oils for Sleep? After looking closely at the quality, purity, and ethics of so many companies, I’ve fallen in love with both the company and their products. They have a large line of organic oils and are serious about safety. Every single batch is tested to ensure purity! If I had to pick among best essential oils for sleep, it would be lavender. To use lavender for sleep, you can place a few drops of on feet, neck, and wrists. I like to place 3 to 6 drops in my diffuser as well. Another great way to use lavender is in a linen spray. Place lavender, distilled water, and witch hazel in the bottle. Shake well to combine. Spritz on sheets and pillow just before turning in. Combine lavender, Roman chamomile, and carrier. Apply to the bottoms of the feet at bedtime. Combine clary sage, vetiver, valerian, lavender, and carrier. Dilute orange oil with the carrier oil. Massage around the belly button. Combine essential oils and carrier oil in a glass bottle. Add one tablespoon to the bath. Put essential oils in a 10ml roller bottle and top off with a carrier oil. Apply to the bottom of the feet. You may also diffuse this blend. Place oils in a 10 ml bottle. Top with a carrier oil. Apply to the bottom of the feet. Try supplementing with Magnesium. It is estimated that between 70% and 80% of American’s aren’t getting enough. Magnesium is one of nature’s best relaxation secrets. When you are stressed, calcium can get into your cells and cause tension. Magnesium helps balance this and can help to promote a healthy stress response and sleep. As a busy Mom, I know how tempting it is to work or watch TV right up until bed time. If you have trouble falling asleep, try turning the TV off at least 30 minutes before bedtime. (The same goes for all digital devices.) The light tells your brain to stay awake. Do something quiet and relaxing like reading a book. Try lowering the temperature in your house by 3 to 5 degrees. Studies show that most people rest better at cooler temperatures. Don’t underestimate the impact that the quality of mattress, sheets and pillows you are using have on your quality of sleep. I rotate between two pillows that I love this Eden Pillow from Coop Home Goods and this Down Pillow from Pacific Coast Feather Company. Have you tried essential oils for sleep? What works for you? I put only lavender oil on my pillow when I feel tired and down when I sleep. It really helps to smell the oil and dream listening to my husband’s sweet music. I recently started using essential oils for sleep and it made a world of difference, especially in the dry air of eastern Canada during winter. I am going to have to save this for later as I have such an awful time sleeping and I do find making sure I have some relaxing scents around does really help. Happy to see other oils are good for sleep. I am getting tired of using just lavender. My husband has sleeping problems, but I never thought of using essential oils for this! It could be a great idea! I had never thought of essential oils to improve sleep. it is all good to know. I did have some trouble finding sleep lately! I love essential oils. We have an air diffuser at home and we fill it with eaucalyptus oil. I’ve always loved the smell of lavender. I’ve used essential oils for years. It really makes a difference. I am a mess when I don’t get enough sleep. I’m glad you’ve found some oils that help you get some shuteye. First of all – LOVE YOUR BLOG! I really like my essential oils. I have never done my own blends, thought, so I’m excited to try the ones you mentioned in your post. I LOVE my Superloft Down Pillow. Just as a warning to those using Lavendar oil topically, a very recent study has shown that it can be an endocrine disrupter, so be cautious when applying it topically & don’t get carried away with it. Also, just because a little is helpful does not mean a lot would be more helpful. Overuse can trigger immune responses; that’s what happened to a friend of mine who overused. Now she can no longer use the essential oils that were helping with her digestion & sleep.